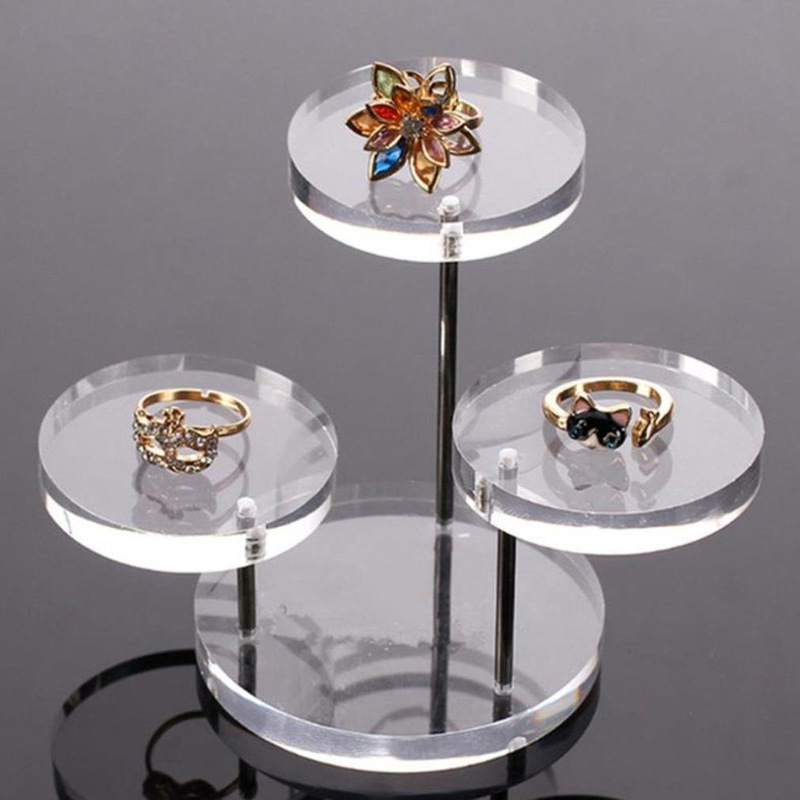 Shiny and attractive, acrylic jewelry holders are an elegant manner of displaying your most delicate jewelry. Each holder is delicately crafted into various and interesting shapes that aim to exhibit your jewelry collection in innovative ways! They are delicately polished and they feature bright and glossy designs. 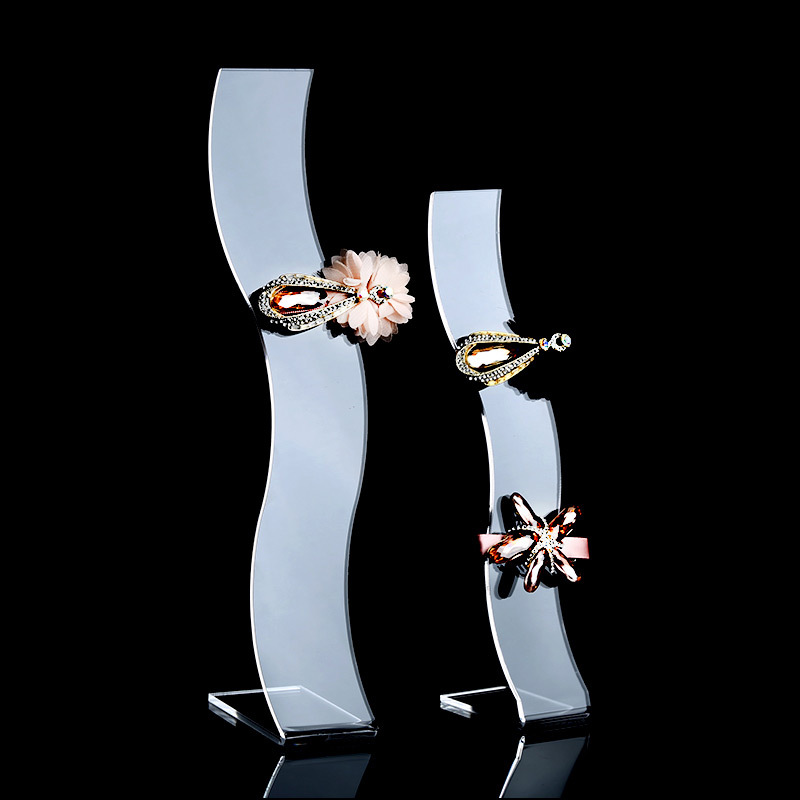 They provide you with entertaining original ways of presenting your entire collection of jewelry with grace and style. 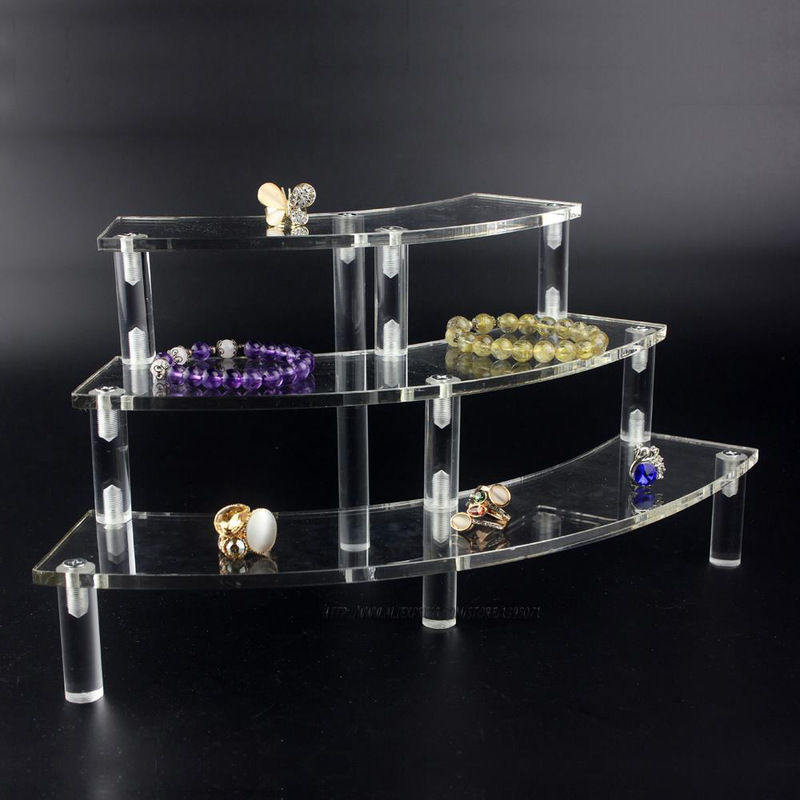 Acrylic jewelry holders are a modern and highly enticing way of exhibiting and organizing items of jewelry that aim to show them in a striking and impressive style to your friends or to your customers! 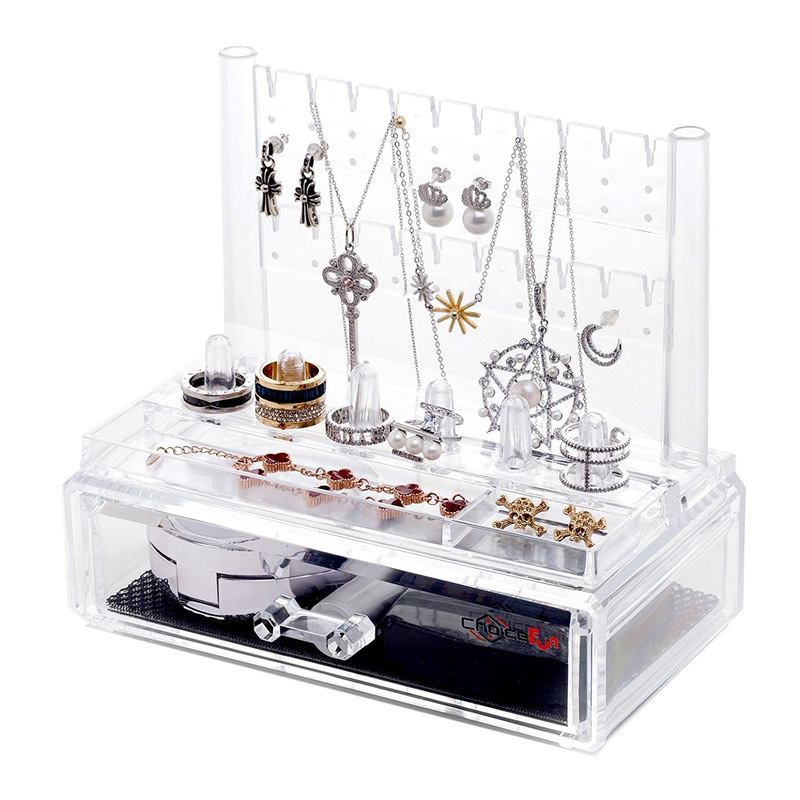 You can always check the Zen store for many more types of jewelry holders or go straight to our acrylic jewelry holders in the store if you’re not in the mood for scrolling through our recommendations. Delicate and fashionable, this finely polished and crafted acrylic jewelry holder offers an exquisite and attractive manner of jewelry display. It features a beautiful and modern geometrical shape and it is also elegantly semi-transparent. Stylish and beautifully colored, these bright rectangular jewelry holders will provide your jewelry collection an enticing and classy display. They are glossy and daintily crafted and they will exhibit your jewelry with taste and elegance! A lovely and chic acrylic jewelry holder, this set of three jewelry displayers aim to exhibit your jewelry in a modern and smart manner. They feature a striking black and white combination and they are ideal for displaying sets of jewelry pieces! Spacious and intelligent, this foldable jewelry holder is the most elegant way of organizing and displaying your collection. 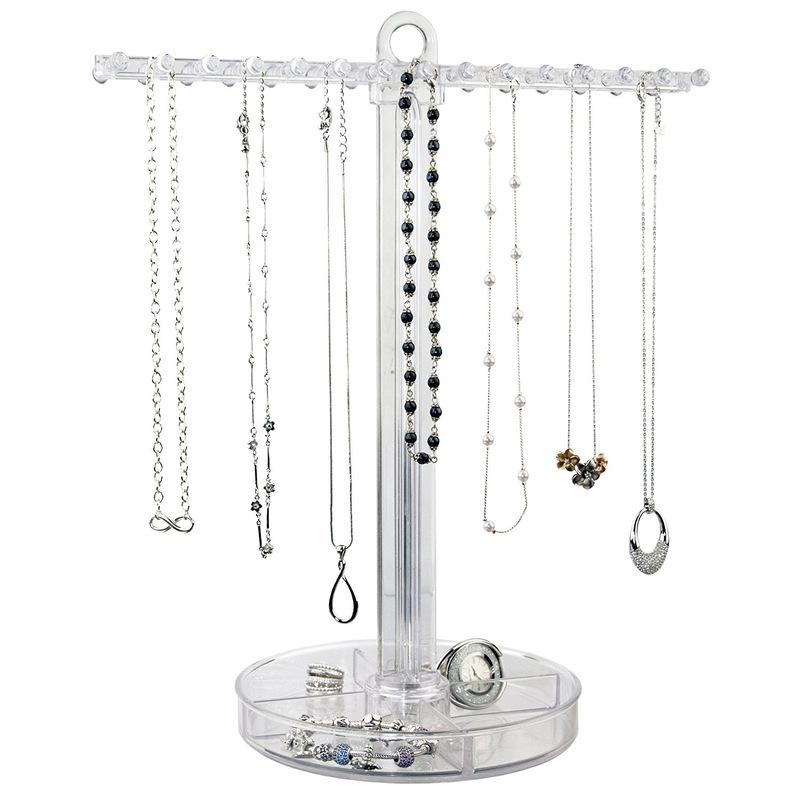 It is simplistically beautiful and it will ensure the safe and elegant display of all your jewelry! Captivating and unique, these amazing jewelry cone holders are an innovative and creative way of jewelry display. 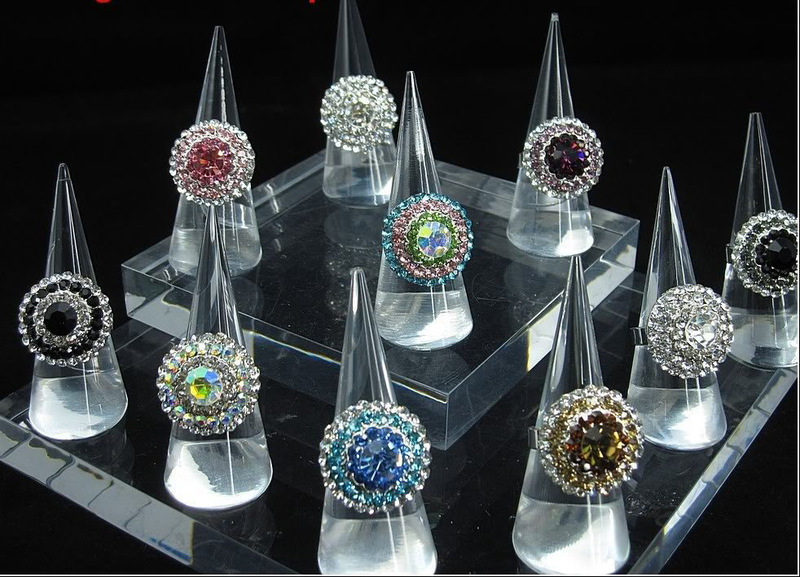 They are ideal for your rings and they will exhibit them in a most interesting and attractive manner! 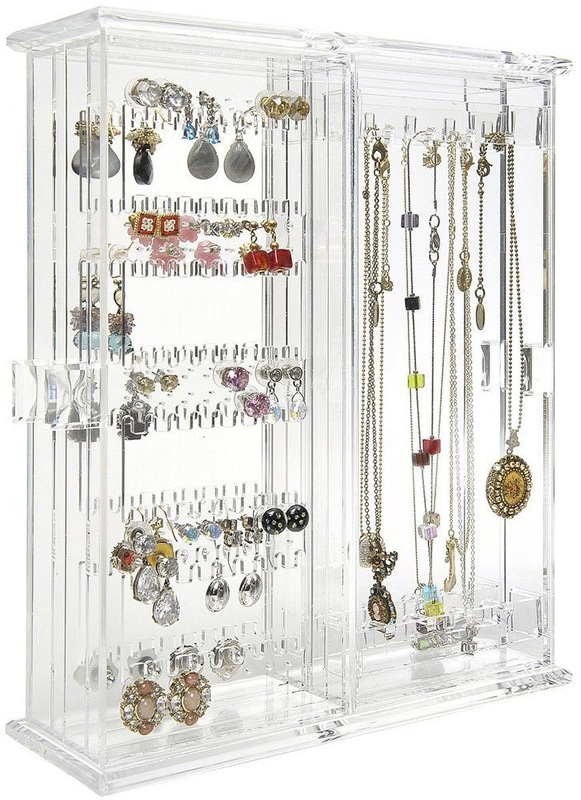 An elegant and large jewelry case, this acrylic organizer offers a beautiful and efficient display of your jewelry. It is smartly designed in order to store and exhibit your entire collection of jewelry with style! 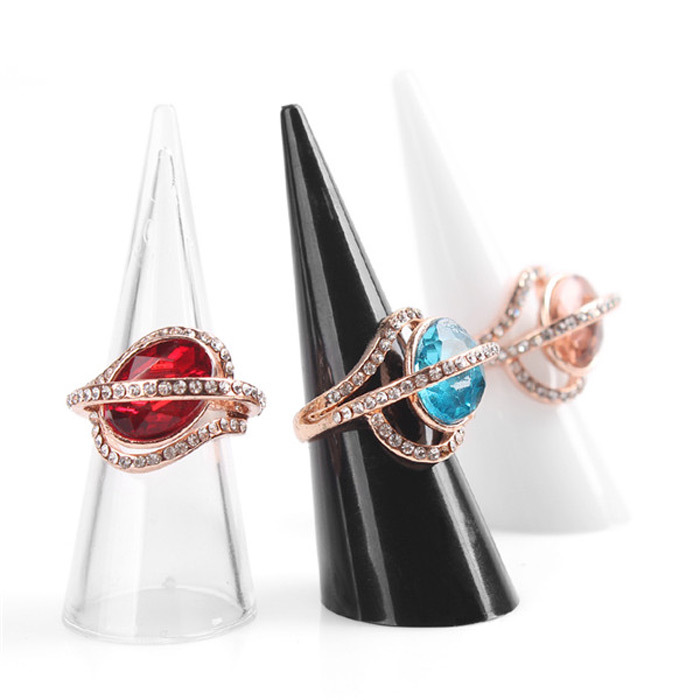 Graceful and stylish, these ring showcase holders are a wonderful and chic method of presenting your precious rings. They come in various sizes and they all feature an elegant and beautiful design. 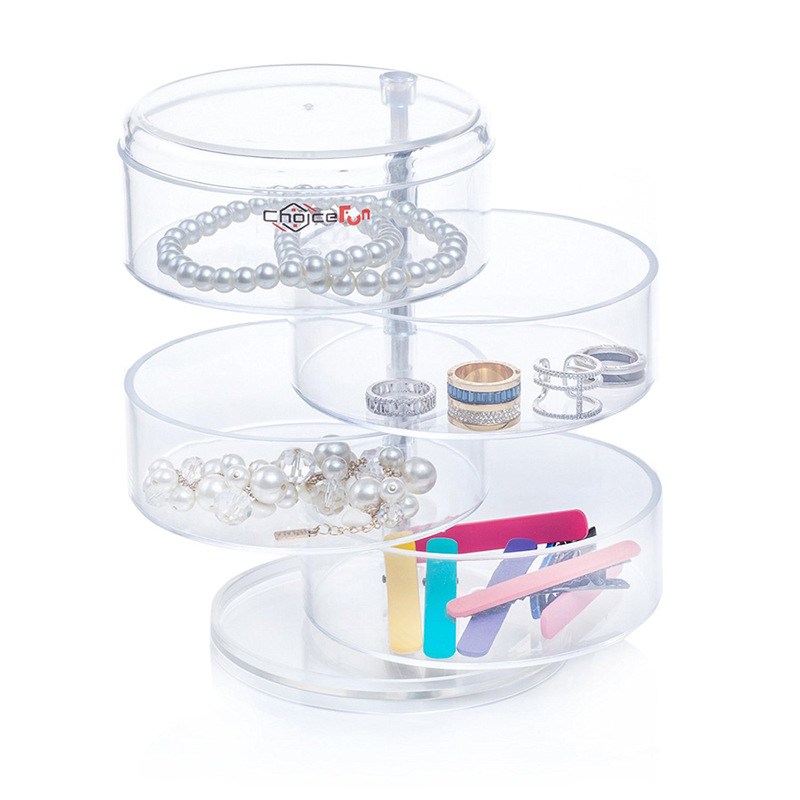 Simple yet attractive, this lovely acrylic holder is a neat and fashionable way of organizing jewelry. 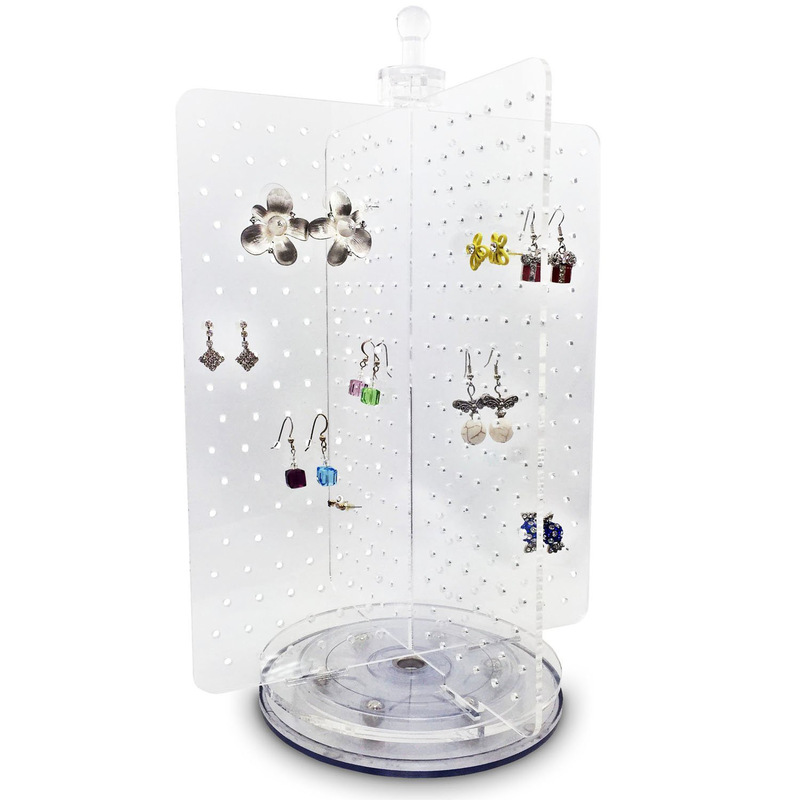 It is equipped with plenty of hooks and holes for your jewelry and it is ready to accommodate your entire collection! 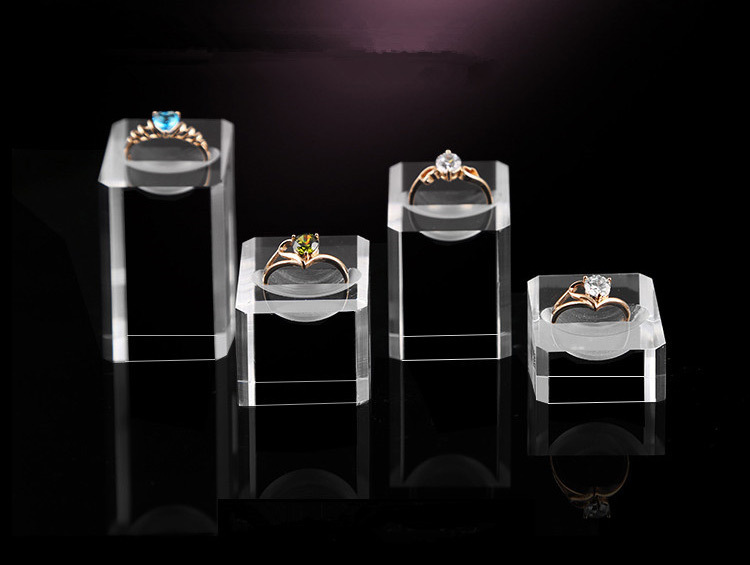 Gorgeous and modern, these shiny and bright ring holders aim to display your most important ring in a creative new way! They are completely transparent and they will beautifully exhibit your engagement ring! Creative, unique and stylish, these two leaf shaped jewelry holders represent a totally new and interesting way of displaying jewelry. They are delicately crafted and they will daintily exhibit your precious jewelry items! 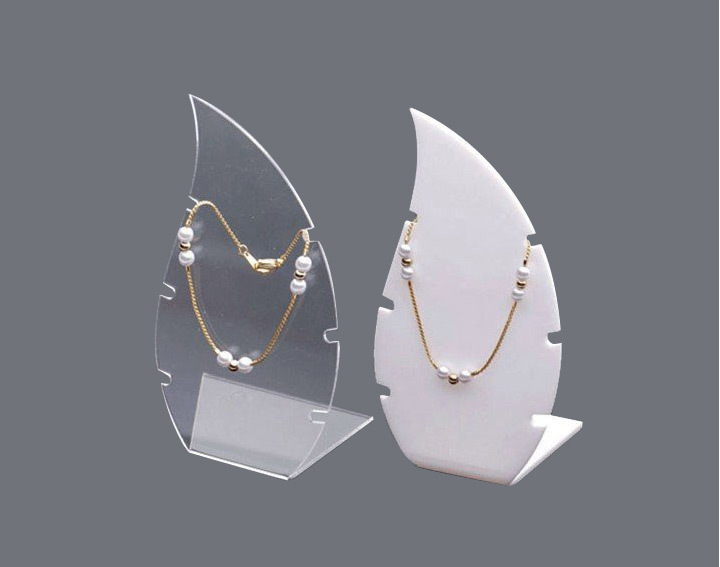 An innovative and fascinating jewelry holder, this acrylic item of display offers an original manner of display. It’s got several beautiful round trays where you will be able to display your jewelry in a highly authentic way! 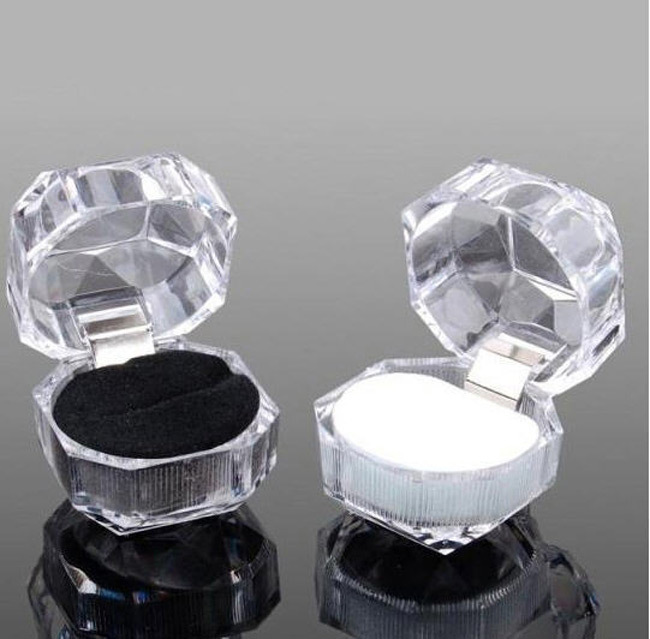 Fancy and efficient, this acrylic holder will accommodate all your delicate necklaces and bracelets in a bright new manner! 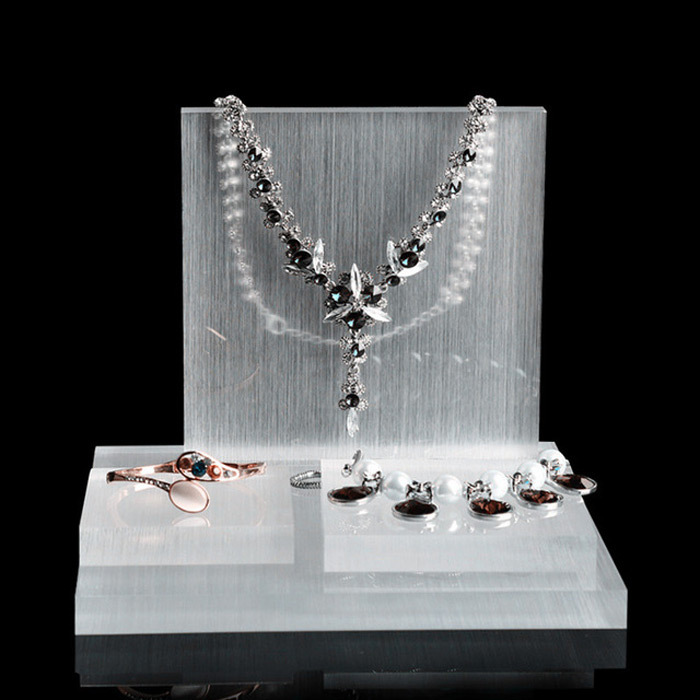 It is elegantly designed in order to sustain and display plenty of pieces of jewelry. Modern, chic and sleek, this gorgeous bust will present your necklaces in a highly attractive way! Its design is glossy and it’s sporting a lovely black color that will make your jewelry look outstanding! 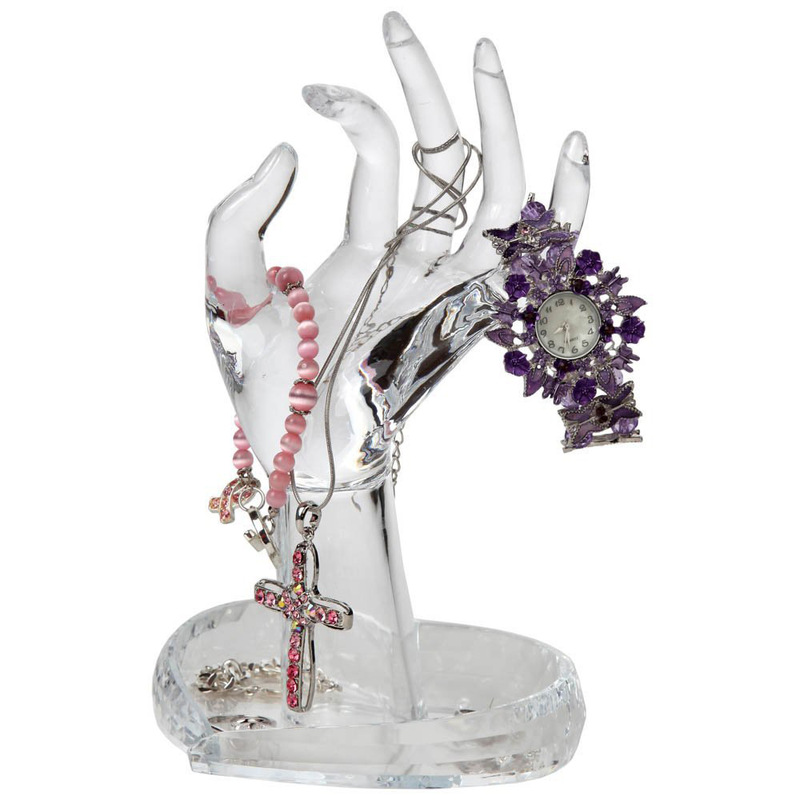 A unique and captivating jewelry display item, this hand shaped holder is a completely enticing and fun idea for jewelry display. It’s carefully and neatly polished and it will do a great job exhibiting your collection! 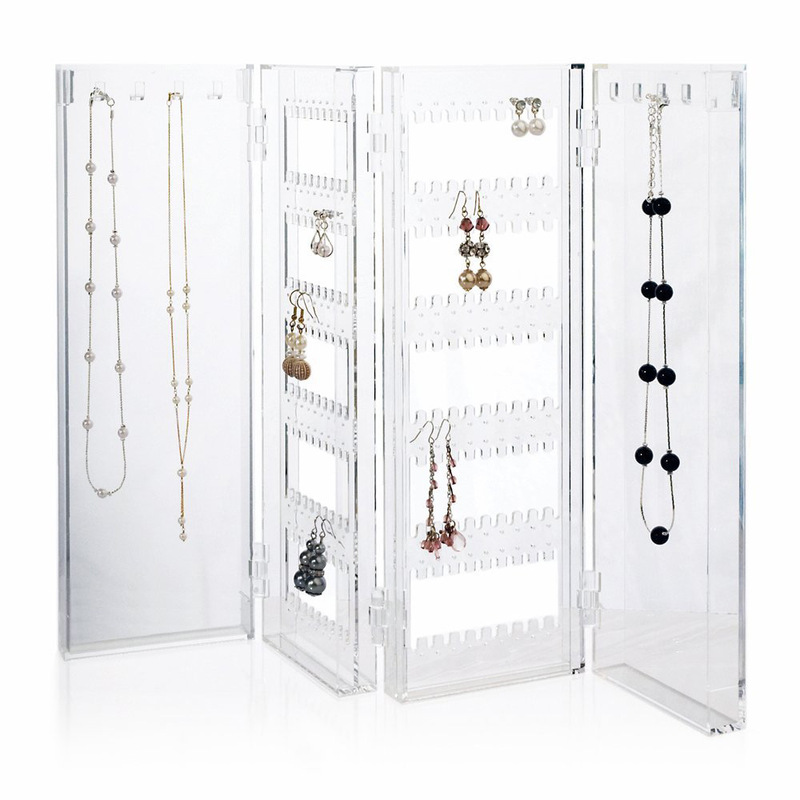 Astonishing and elegant, this large and spacious jewelry showcase will accommodate your entire collection of jewelry in a professional and efficient way, thanks to its unique and smart design! Beautiful and simplistic, these spinning round shaped trays will organize plenty of your jewelry items while presenting them to your friends or customers at the same time as well! Interesting and original, a manner of jewelry display that will definitely impress! it is meant to organize and exhibit a large number of jewelry and it’s got an attractive and delicate design too! Fascinating and futuristic, this new manner of ring display is a truly unique and entertaining idea! 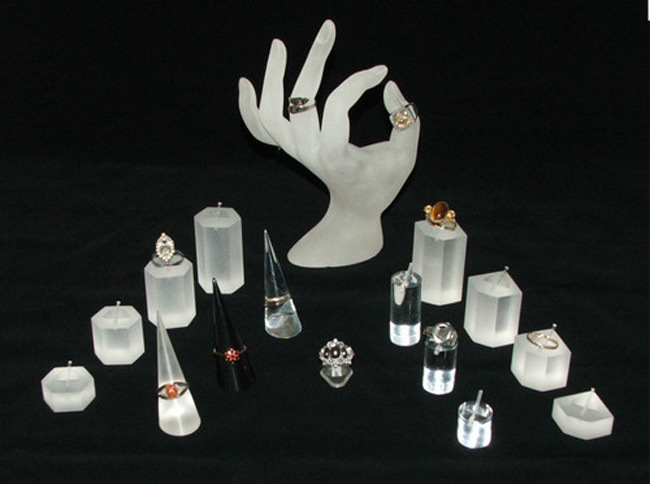 The crystal-clear cones will display all kinds of rings and keep them safely stored! Elegant and classy, this dainty acrylic holder presents a professional and highly efficient way of presenting and organizing your collection. 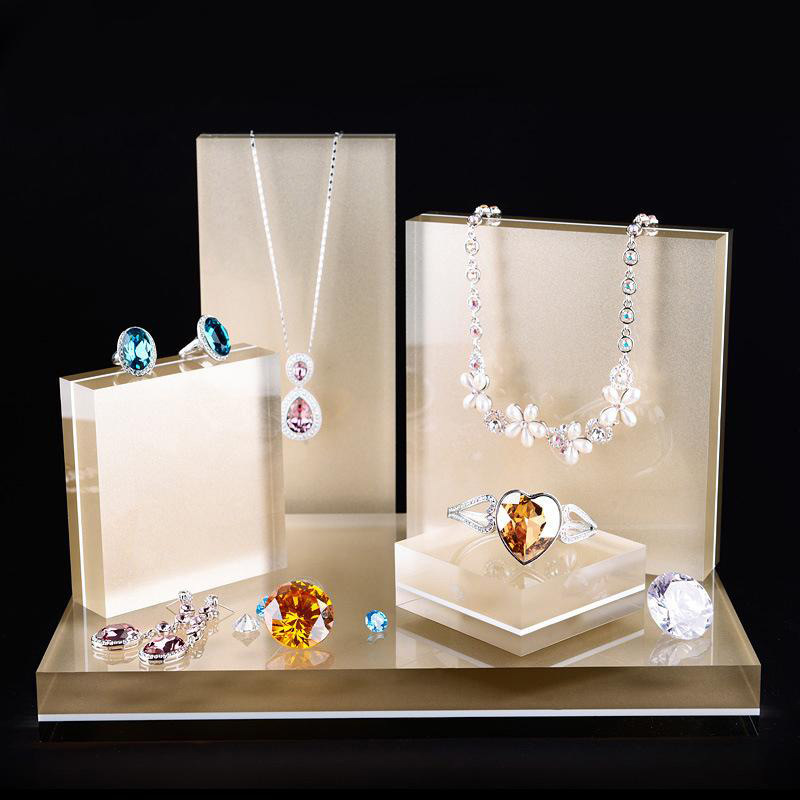 Its three levels will accommodate plenty of jewelry and beautifully display them! 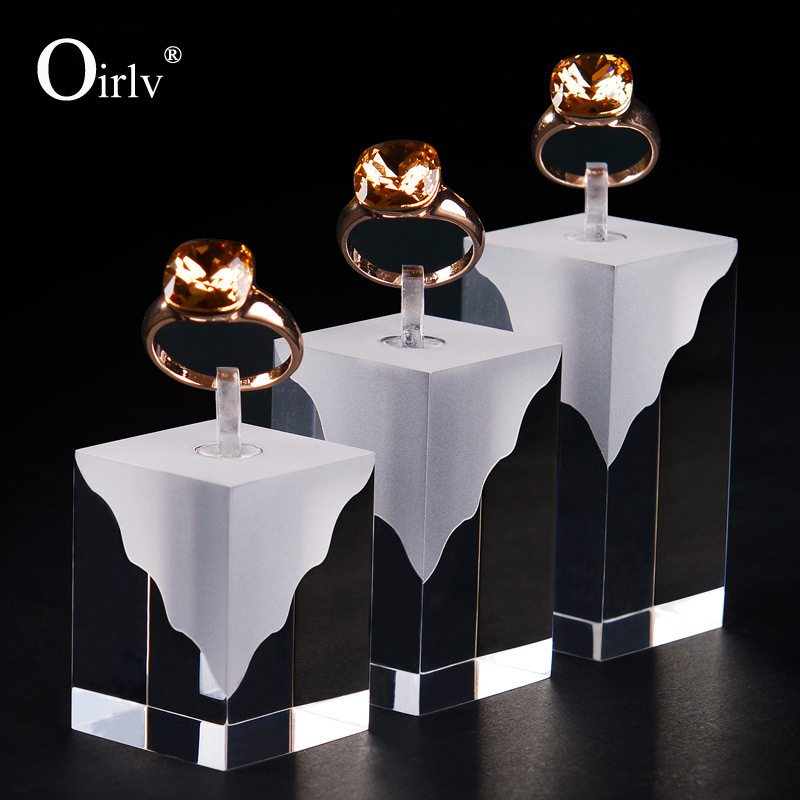 An original and entertaining jewelry display method, these geometrically shaped holders and hand shaped holder are a bright and innovative idea for exhibiting all sorts of items of jewelry that will surely attract anyone’s attention! 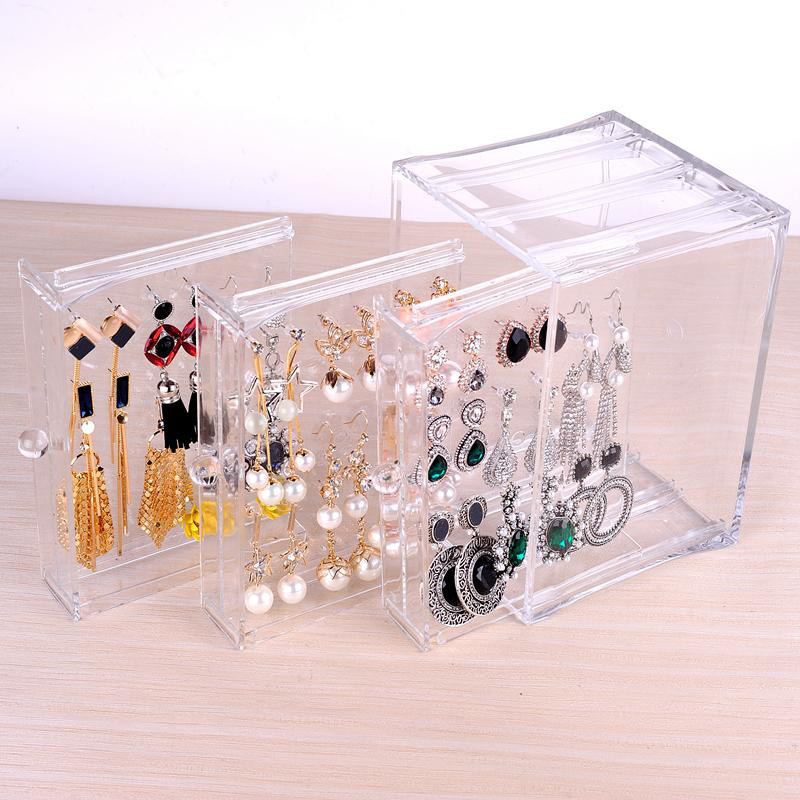 Fancy and delicate, these acrylic holders aim to display your jewelry in an efficient yet fashionable manner. They both organize and exhibit your precious items with style and elegance! Creative and innovative, these gorgeous curved jewelry holders offer an interesting way of presenting your brooches! They are finely polished, glossy and elegant and they will definitely stand out! 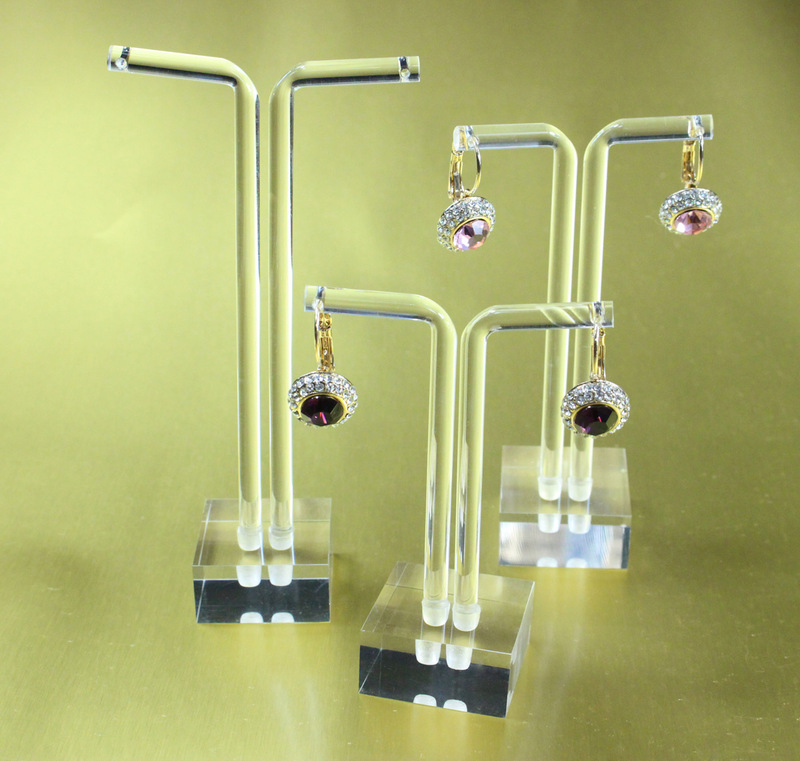 Unique and interesting, these two three shaped holders are going to display your beloved pairs of earrings in a completely modern way! They are elegant, stylish and they will create a good impression to anyone! 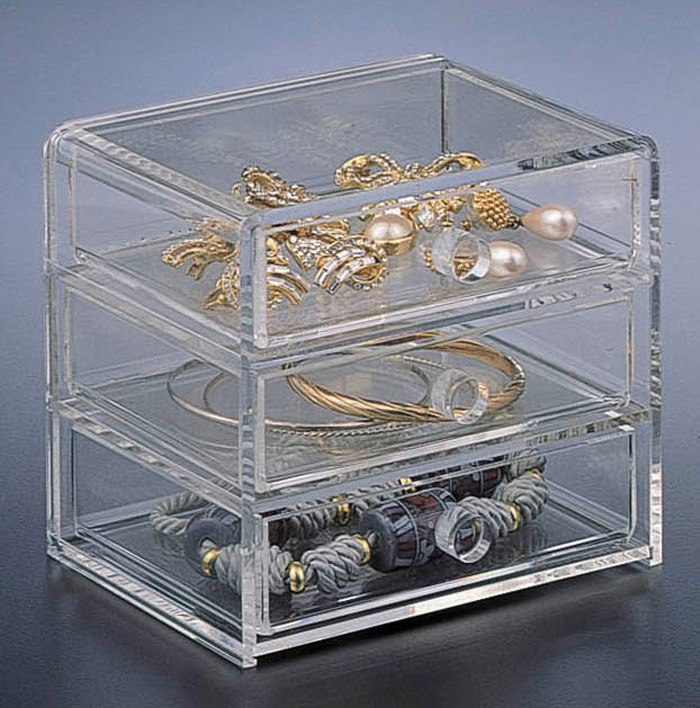 Interesting and simplistic, this acrylic jewelry holder will organize and present your jewelry, especially your bracelets and rings, in a beautiful manner. Delicate and fashionable, these three acrylic jewelry holders are specially created to display your precious necklaces, earrings and other jewelry!